The ring in the photos has been sold. 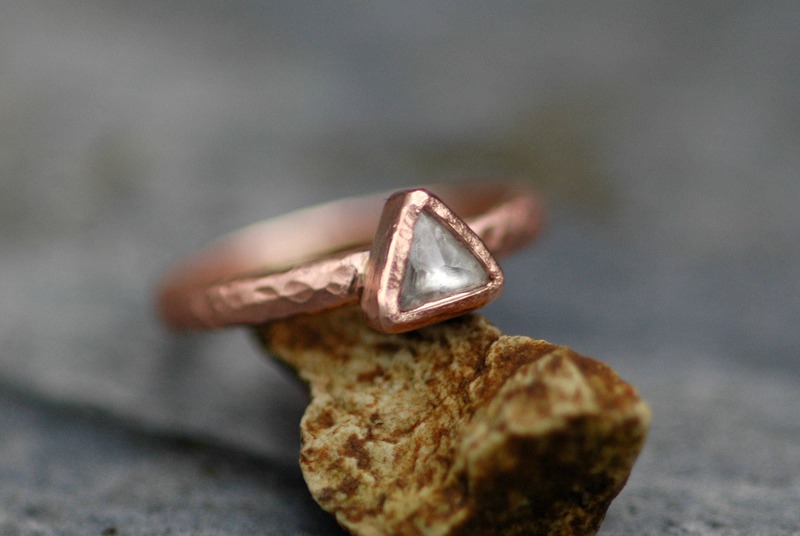 Your ring will be custom built for you, to your specifications, using the stone and metal of your choice. 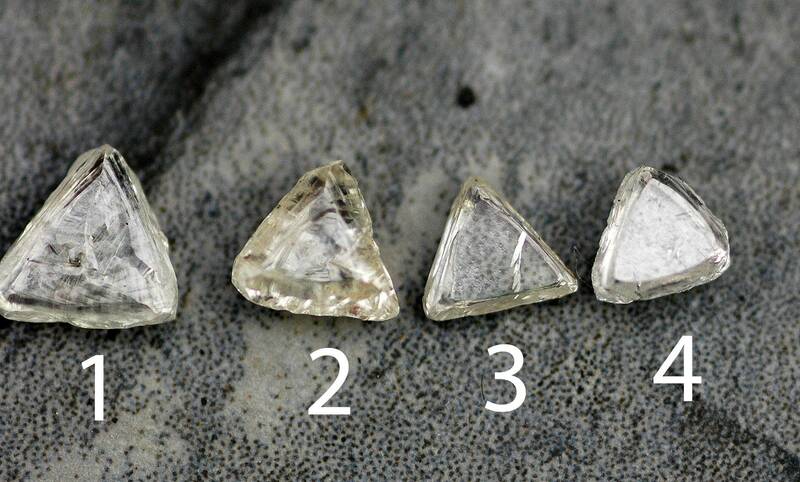 Please see the final few photos for my current parcel of macle diamonds. 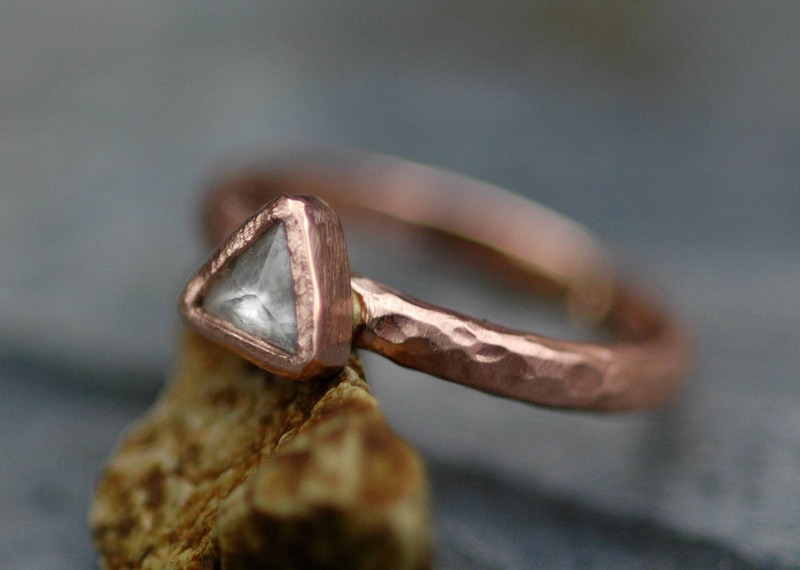 This ring is hand-fabricated by me in my studio. 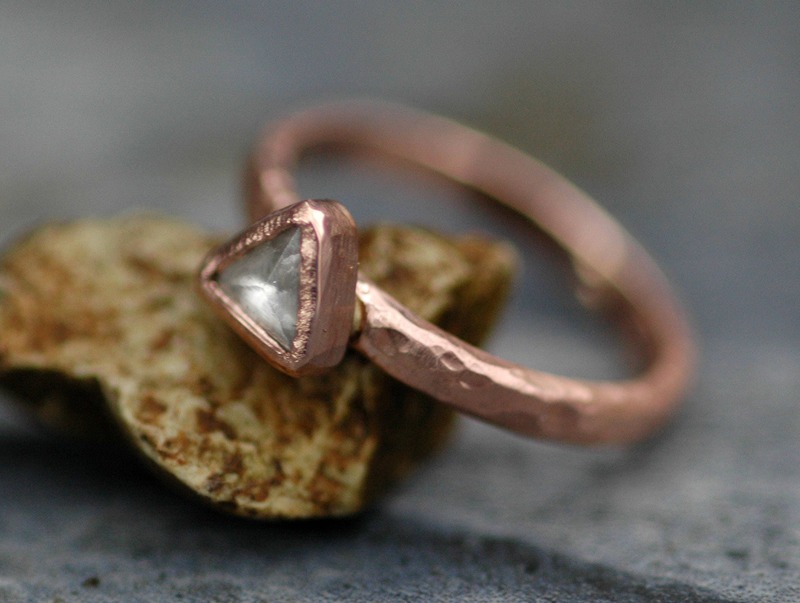 As I build each ring from the raw materials, you may choose the stone, metal, and texture of your choice. 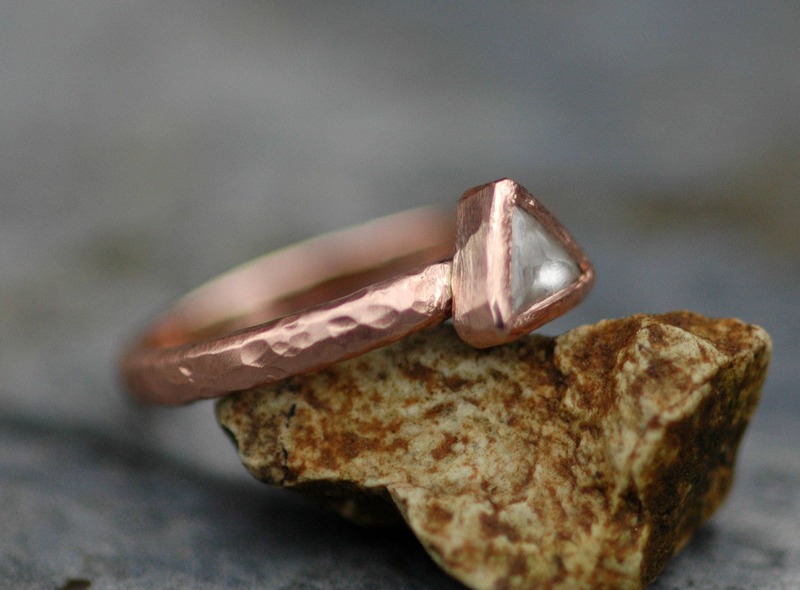 In this listing, you can select 14k or 18k rose, yellow, or white gold, or platinum. 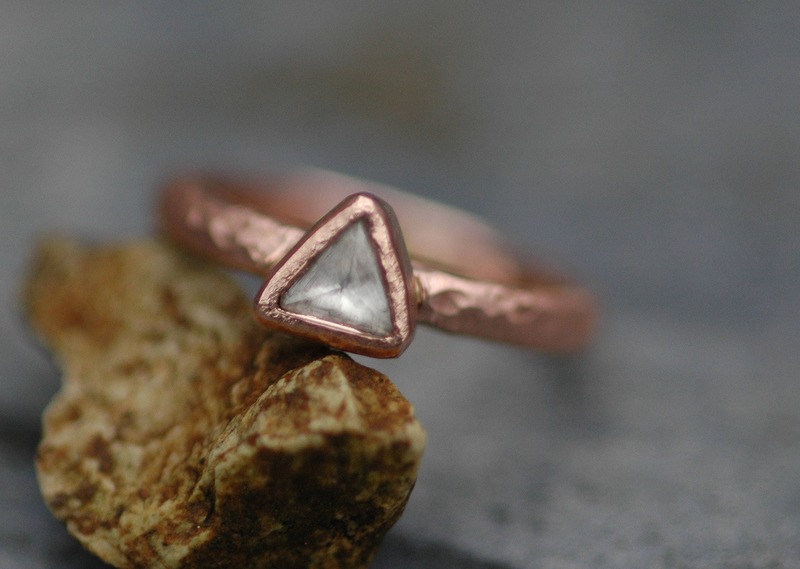 Please note that I do not work in plated or newly-mined metals- your ring will be built in solid gold or platinum, which has been recycled at the smelting level. 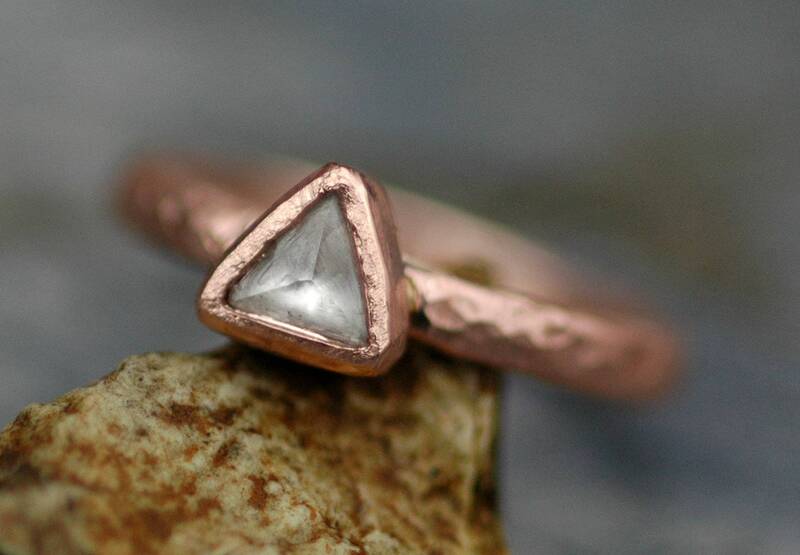 Setting: textured bezel (can also be made smooth if you like) Ask for a hand-built prong setting at no additional cost. 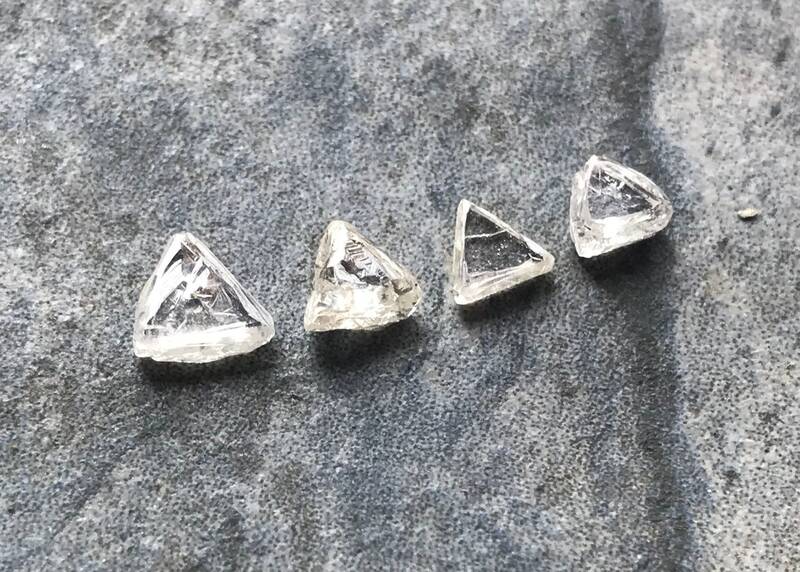 Rough diamonds come in many formations. 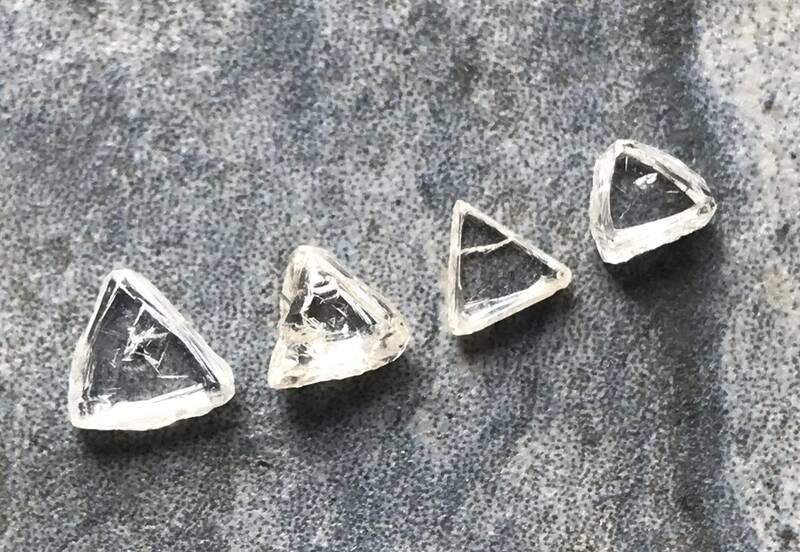 The triangular, geometric form of the diamonds shown here is known as a macle. This is the natural form of the diamond, as it formed a billion years ago. It has not been cut, polished, or otherwise worked. As with all of my rough diamonds, these are certified conflict-free. Don't like any of these macles? 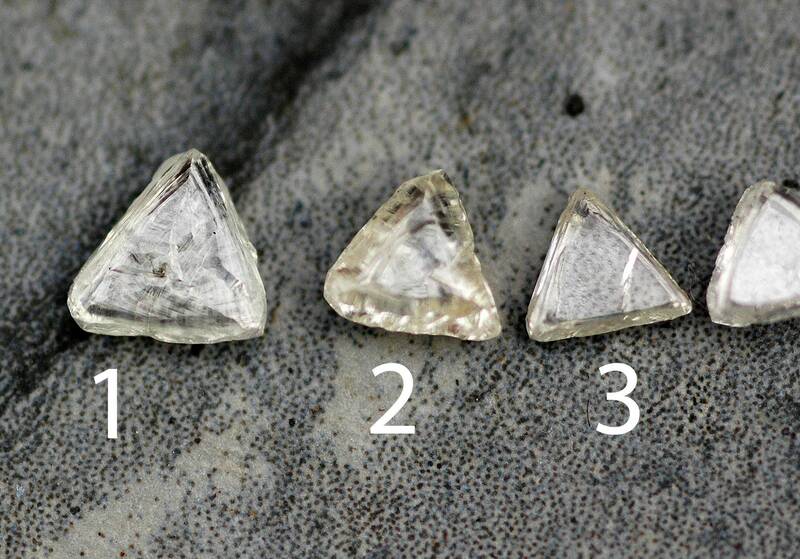 I can source your dream diamond from my dealers- just ask.